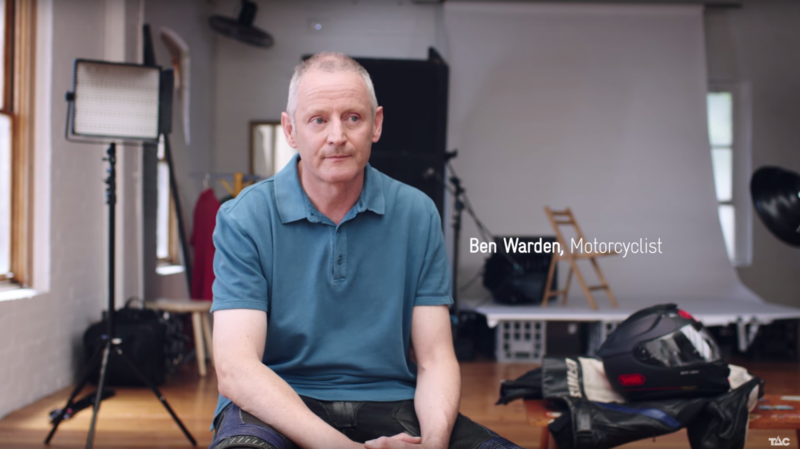 Ben who was in a motorcycle accident, is on the path to recovery - but his injuries could have been avoided if he had been wearing the right boots. Here he shares his story and urges fellow riders to consider their choice of boots, regardless of how hot it is outside. Around 950 motorcycle and scooter riders are killed or seriously injured each year in Victoria. Motorcyclists are particularly susceptible to severe injury because they are capable of travelling at similar speeds to other motor vehicles, yet unlike cars, motorbikes offer little or no protection to riders in the event of a crash. Boots covering the foot and ankle help protect riders from nerve and open wound injuries which can include flesh wounds, traumatic amputations, burns, blood vessel damage and superficial injuries. Motorcycle boots offer the most protection. However, sturdy boots such as work boots also offer basic elements of protection. In the survey of 763 Victorian motorcyclists, of those wearing motorcycle boots or sturdy boots such as work boots, 47% and 55% incurred lower limb injuries, compared with 63% wearing ordinary footwear like runners. 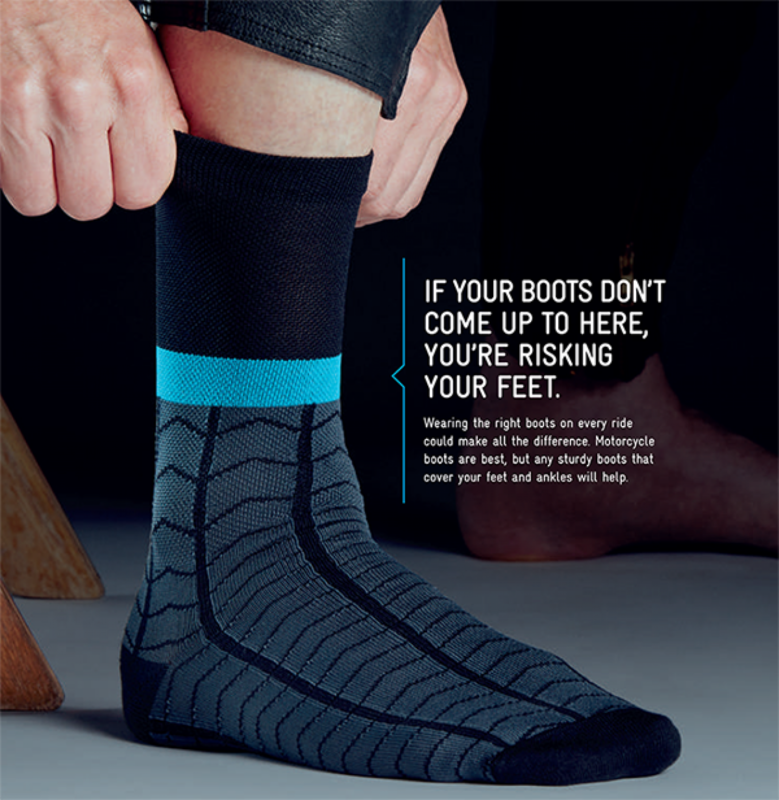 Motorcyclists and scooter riders will soon be able to order socks created by the TAC, which shows where boots should come up to on the leg to offer protection.